That really depends on the amount of leaves in your pool. 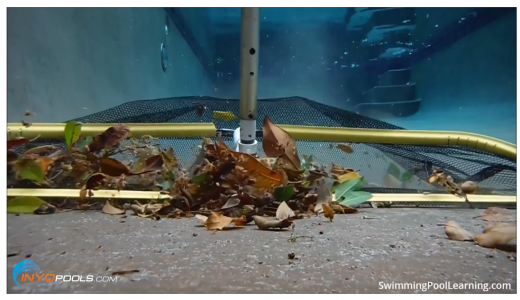 If you have a ton of leaves just covering the whole bottom of the pool, you probably want to use a Leaf Rake. What a leaf rake is it’s something you attach to the end of your pole, it has a bag on it and a little lip on the front so you can scoop them all out or you can use what they call a Leaf Eater. Basically, that has a bag on top of it, you connect your garden hose to it and you connect it to a pool pole and the water just blows the leaves up into the bag, so if you have a lot of leaves use one of those. If it’s a moderate amount of leaves, pressure-style cleaners like Polaris, or the Pentair Legend series. Those are good cleaners to us if you have a moderate amount of leaves or robotic cleaners are pretty good. Lastly, if you’re using a manual vacuum or a suction-style cleaner like a Hayward Navigator, you can use those if there are just a few leaves. You also want to make sure you have something in line to catch those leaves like a basket in between the hoses or you want to make sure you use a vac plate on your skimmer basket and connect the hose to that. You just don’t want all those leaves going directly into your plumbing because it could clog the suction line. If you would like your question answered or you have some comments us, please leave a comment down below. 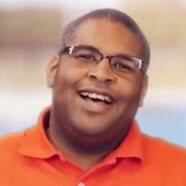 If you like these videos and want to see more of them, please like and subscribe to INYOpools YouTube channel. For all your pool and spa needs, please visit us over at INYOpools.com.